Some people try to be as normal as possible and will do anything to fit in. I recently saw a lovely video of Pink (the singer) talking about her daughter and her motherly advice was that normal was boring and to always choose weird. While I don’t think you have intentionally manufacture weirdness, just being yourself and comfortable in your own skin can be weird enough for most. A lot of people are spending so much energy trying to fit in, trying not to stand out and trying to be “normal”. What the hell is “normal” anyway? No one is going to give you a gold medal for being “normal”. You’re not going to get to the end of your life and be proud of not rocking the boat and for being the most “normal” person ever. You have a choice. Be normal or be yourself. You might not be normal. Why not just be you? Imagine the energy you would save not trying to be something that you’re not. 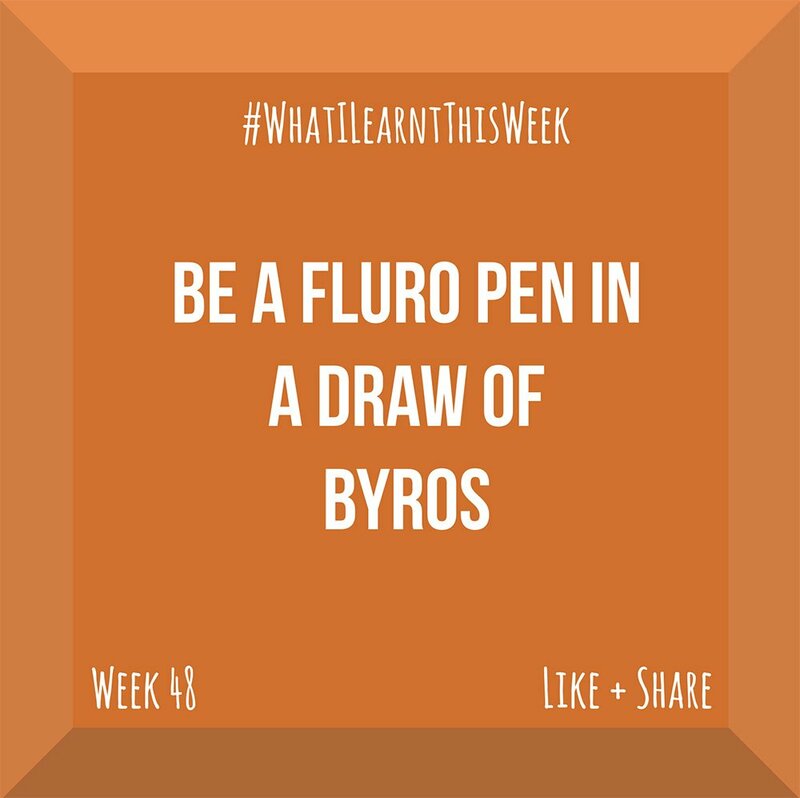 So, make a conscious decision to be a fluro pen in a world full of boring blue byros. Imagine how bright you could be!